Send your postcard to a European candidate! Mr. Ivan Gasparovic, the President of Slovakia, invited participants of the CoSMiCE seminar in Bratislava to attend a reception at the presidential palace on April 30. 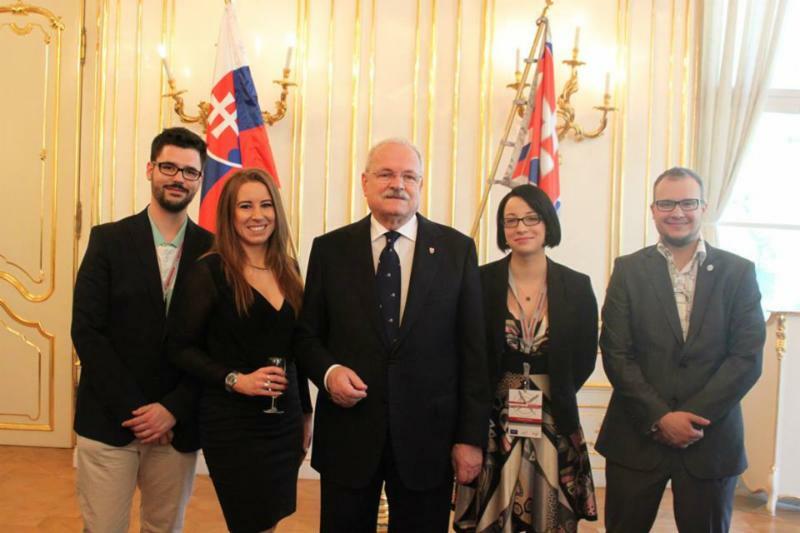 Here he is with ESU's Chairpersons and Katarina Stolarikova, Chair of the national union of students in Slovakia SRVS.